Dental Emergencies are never comfortable or convenient. Most emergency situations result in extreme pain or swelling. Their occurrence normally requires you to rearrange prior commitments such as work, meetings or school. Additionally, they can occur during inopportune times such as before a wedding, in the middle of the night or on vacation. Many situations arise that can result in needing to call an emergency dentist. Abscess/Infection – Many situations could result in infection and abscesses forming. Teeth that have unfilled cavities may result in an infection and need for a root canal or extraction. The cavity grows bigger over time if it’s left untreated. The bacteria in the cavity eventually reach the nerve and travel into the gums beneath. The infection could be a little pimple on the gum or a larger swelling of the face. Old root canal teeth may form new infections if they get new cavities or have fillings/crowns that have come off. Food becomes lodged in the space and the bacteria may form an infection in the root canal. Avulsed (Lost) Tooth – An avulsed tooth is a tooth that has been knocked out from trauma. The most common cause of an avulsed tooth is a sports-related injury. If an adult tooth has been knocked out, it’s important to see us immediately. You may pick up the tooth by the crown (the part that sticks out of the gums). Do not touch the root. If you are able to put the tooth back into the socket, do so and hold it in place on your way to our office. If you cannot place the tooth back into the socket, try holding it under your tongue on your way to our office. You can also place the tooth in milk, saline or saliva in a cup and bring it with you. Teeth that have been placed back into the socket need to be monitored closely. They may require a root canal in the future or may not stay in place. If a tooth cannot be saved, we will discuss replacement options. A mouth guard is a wise investment to help avoid the trauma of having a tooth knocked loose. Broken/Cracked Tooth – When teeth have cracks, are broken or chipped they may not be painful right away. If the dentin (they layer below the enamel) is exposed, it may elicit pain when you have hot or cold food and drink. Cracks can deepen over time until they reach the nerve of the tooth, resulting in pain and the need for a root canal or extraction. Broken teeth with exposed dentin could be more susceptible to cavities and existing cavities could result in infection. Children’s Emergencies – From the time their first tooth grows in, children are not immune to dental emergencies. Young children learning to walk and find their balance may trip and fall. Broken or chipped teeth, cuts, bruises and loose teeth can all occur with children of any age. Unfilled cavities may also lead to pain. It’s a common misconception that it’s not necessary to treat baby teeth because they are going to fall out. Children start losing their teeth as early as age 4 and may continue to do so until even 16 years old. Teeth that may not fall out for years may continue to decay if unfilled. Ultimately, pain or abscess can result. Occasionally, an infected baby tooth may damage the developing adult tooth beneath it. Additionally, any tooth that needs to be pulled prematurely will create a cascade effect that almost certainly will create a need for orthodontics (braces). It’s important to have your child visit regularly for examinations and cleanings and take any recommendations for treatment as seriously as you would if they were for adult teeth. Gum Emergencies – Gum pain can arise from many sources. Sores, cuts, gum disease and food can all trigger pain in your gums. Sores or cuts are not only painful but can become infected. It’s best to have them evaluated and in some cases, medication can be prescribed to help them heal. Gum disease, if present, can cause the gums to be swollen and tender. They may bleed or make chewing food and brushing teeth uncomfortable. This pain is usually due to a more advanced form of gum disease. In its earliest form, gum disease may go undetected. At your check ups, we screen and examine your gums to ensure that any changes or disease noticed are addressed immediately. Food can become lodged between your teeth and get stuck deep beneath your gums. If left, the gum can swell and an infection forms with not only pus but also with a bad smell from the food. Never try to pick at food that is stuck deep beneath your gums, you may push it deeper. If regular flossing cannot dislodge it, it’s best to have it cleaned out by our office. Any area that continually traps food is at risk for a cavity or gum disease so it’s best to determine how to fix the problem area. Sharp Tooth – A broken or chipped tooth may cause pain from irritation. Biting your cheek, tongue or lip can become painful as you continue to re- bite the cut areas. It may make it difficult to eat or speak if the irritation gets very swollen. If a small chip is creating the sharp edge, a simple smoothing down of the chip will prevent you from continuing to bite yourself. If it’s a larger break in the tooth, a filling or crown may be needed to prevent more breakage. Always have any broken or chipped teeth checked to make sure they will not do any more damage or cause any pain. Temperomandibular Joint (TMJ) – The temperomandibular joint refers to the joint that holds the lower jaw (mandible) to the skull. Pain, clicking or other symptoms associated with the TMJ are referred to Temperomandibular disorder (TMD). Pain can arise from muscle spasms, headaches or a jaw getting “locked” open. This can be due to problems with your bite, jaw discrepancies, clenching or grinding your teeth could all lead to joint or muscle problems. At your dental visits, we can evaluate your TMJ for signs of “clicking” called crepitus that may indicate a problem with the joint. We can also examine your teeth for signs of clenching a grinding your teeth. In early, mild cases, a customized mouth guard or splint can be fabricated to relax your jaw, balance your bite, and place less stress on the joint. In some cases, muscle relaxers or pain medication may be needed to relieve symptoms. In more advanced or painful situations, a referral to a TMJ specialist is needed. Even if you do not feel you are clenching or grinding your teeth, we can see if there are early signs present. If a guard is recommended, it’s a good idea to start using one before more severe symptoms arise. Prevention is key! Unfilled Cavities – Cavities start in the outer layer of the teeth, called the enamel. Over time, the cavities grow and get deeper and deeper into the teeth. They infiltrate the enamel and get into the deeper dentin layer until they eventually reach the nerve or pulp of the tooth. Often times, you do not know cavities are present when they are small. You may not notice any pain or sensitivity. It’s only as the cavities infiltrate and get deeper into the tooth that you may begin experiencing sensitivity or pain. You may feel sensitive to hot, cold or sweet food and drink. You may also begin to feel pain when you eat or even for no reason at all. Once the cavity reaches the nerve, a root canal will be the only thing to save the tooth and relieve pain. It’s important to have regular check-ins with our office to determine if any cavities are present. If treatment (a filling) is needed, it’s best to have done as soon as the cavity is found. Small cavities mean small fillings so it’s healthier for a tooth to have a very small area filled rather than a large portion. The larger portion of tooth that has to be removed and filled, the weaker the tooth can become and be more prone to breakage. Fillings that are deeper in the tooth can also trigger the nerve to react and become irritated. Some patients with deeper fillings may still require root canals even if the cavity hasn’t reached the pulp. If you lose a permanent tooth, pick it up by the crown not the root. If you can, place it back in the hole and get to the dentist immediately. Over the counter temporary cement may be used to place the crown over the sensitive tooth until you can see your dentist. Over the counter pain relievers can be used to help dull the pain until your dental emergency appointment. Your dentist may be able to call in a prescription antibiotic or pain reliever to the pharmacy if you are away from home. Insurance – Have your dental insurance card ready with a photo ID. What you need to bring – any dental work (i.e. dentures, bridges, crowns) or tooth that’s fallen out. Hours of operation for emergency services – Call as soon as possible to be seen the same day. Driving – Depending on your dental emergency, a designated driver may be necessary for some dental procedures. In most dental emergency situations, it’s important not to ignore your pain or symptoms. Trying to treat your condition at home can lead to worsening over time. Never try to take antibiotics that have been “left over” from other prescriptions and never take medication that was not prescribed to you. We are here for you! We understand how important it is to address tooth emergencies quickly so we want to be your #1 choice for your emergency dentist near you. Call our office. Even if we are closed, there is a way to reach us through an after-hours number. Even though emergencies can sometimes pop up with no prior warning or previous problems, most cases can be avoided. Regular exams and cleanings will help keep you healthy and reveal if there are any potential problems. Having any condition addressed immediately can keep you comfortable and avoid any painful emergencies. Unless your hospital has an oral surgeon on staff (and most don’t), they will not be able to pull a tooth. Most emergency rooms will assess for infection and provide you with a painkiller and antibiotic if necessary. How long should a tooth extraction hurt? Following a tooth extraction, it is normal to feel some discomfort 24-48 hours after your visit. Severe pain, pain not alleviated by pain killers or pain lingering beyond 48 hours may indicate a dry socket or infection. If you experience any of the above symptoms or are worried about any pain you are feeling, a call to your dentist is necessary. Can I drink water after an extraction? It is important to stay hydrated after surgery, so drinking water is allowed and necessary. Room-temperature water is best and you should refrain from using a straw. Suction in the mouth (as with from a straw) can cause a dry socket. Dry socket is not only painful but also requires further treatment by your dentist. The extend of the break will determine if a tooth can be saved. Generally speaking, if the break is above the gumline, there is a good chance the tooth can be saved. If this is the case, a root canal and/or crown may be necessary to save the tooth. If there is any break below the gum, the tooth may not be salvageable and require extraction. Teeth that begin with small chips may break further so it’s best to see your dentist initially to give your teeth the best chance to be fixed. Any situation that involves pain or swelling is a dental emergency. Most dental offices have emergency numbers if the situation happens after hours. Additionally, urgent care clinics or emergency rooms may be able to see you to assess the emergency. Facial swelling with or without fever, difficulty swallowing or lethargy may all be signs of life-threatening emergencies and should be addressed immediately. If you take any medications, you should discuss with your dentist the best painkiller to take following your extraction. Some health conditions or medications may cause side effects of even over-the-counter painkillers. If you are generally in good health, it’s best to start with an over-the-counter painkiller. A good rule of thumb is to take whatever you would take for a headache. Any pain that cannot be resolved with painkillers or lasts beyond 48 hours should be assessed by your dentist. 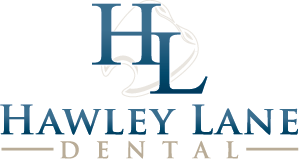 Hawley Lane Dental has a same-day policy for treating all dental emergencies and injuries. We are here to relieve your pain and provide you with a treatment plan to avoid a future dental emergency. If you are in pain or swollen, call us immediately at 203-377-9300 to schedule an appointment.